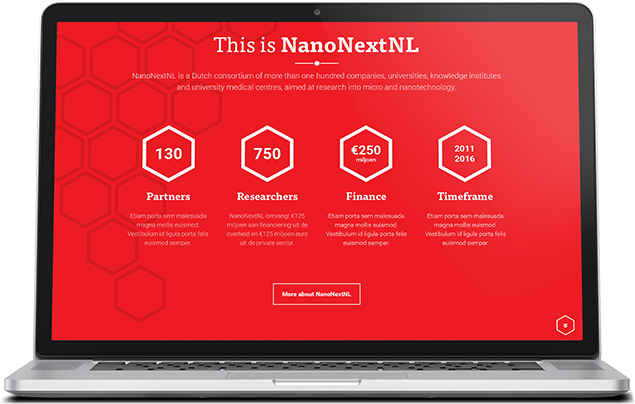 NanoNextNL is a consortium focused on research into micro- and nanotechnology. They collaborate with more than a hundred companies, universities, knowledge-institutes and university medical centres. This consortium will run until the end of 2016, till that time continuing the research but also making sure the project wil be viable in the future. 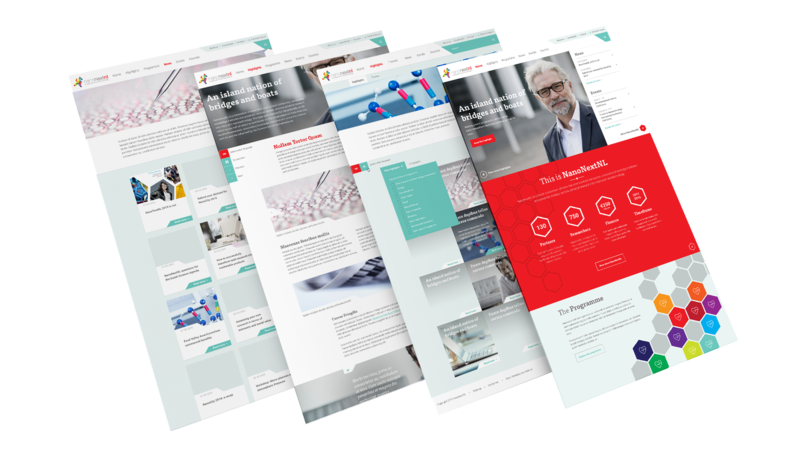 This is where a new webdesign comes in. 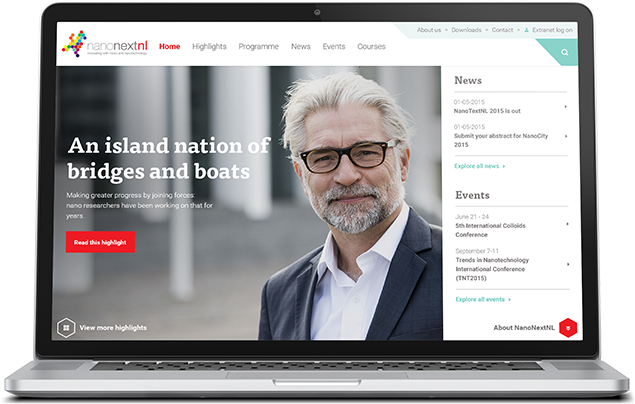 NanoNextNL asked Redkiwi to design a new website that focusses on the success stories that the project has produced. This focus must make sure businesses will get interested in investing in the results of the program. Making sure the success stories from NanoNextNL got focus, we created a dashboard that will always show the stories NanoNextNL wants to highlight. With a capturing, relevant image, a clear title and call-to-action the end user will be attracted to read about this story. 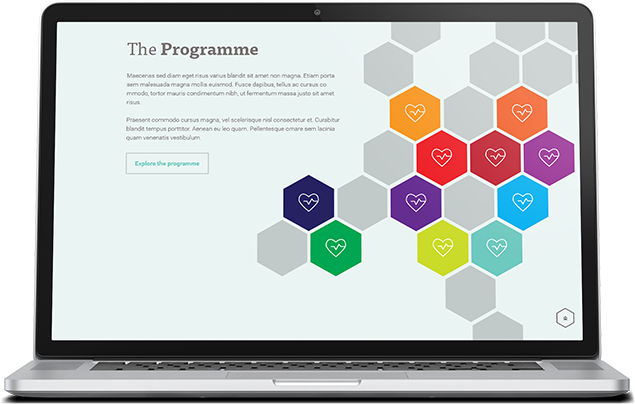 When the user scrolls down on the homepage they will get more information about the program, and all the themes they serve. This makes the homepage from the site a portal into the most important information that NanoNextNL wants to present. During the project I was asked to take the role of projectmanager due to a absence of the lead projectmanager. Making sure the client was assisted continuously during the process of testing, adding content and launch. This process provided me with a whole new experience by getting to know the client and it's needs on a different level. Valuable lessons were: the importance of clear communication, planning and budget management.